Nestled in a 1908 homestead, our 3 acre vineyard offers premium, organic (non-certified) Riesling wine grapes. The vineyard is within walking distance to the Yakima River, and historic downtown Prosser, Washington, birthplace of the Washington wine industry. 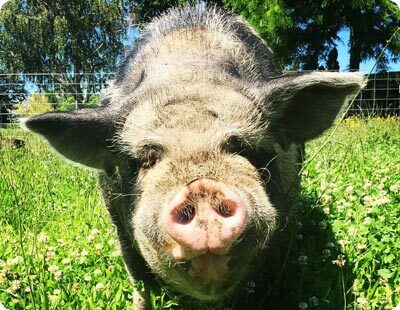 Profits support our on site farm animal sanctuary. 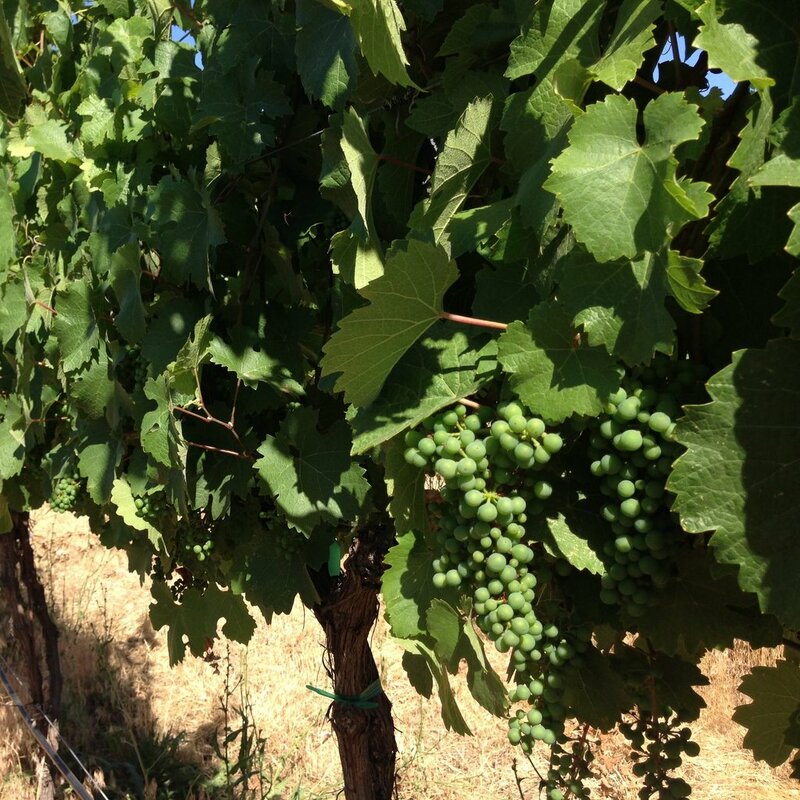 The vineyard is in the Yakima Valley AVA, Washington’s first AVA. We are located in the semi-arid, shrub steppe ecosystem of eastern Washington, within a 1/2 mile of the Yakima River. Our low elevation site near the river results in a longer hang time for the development of complex flavors. 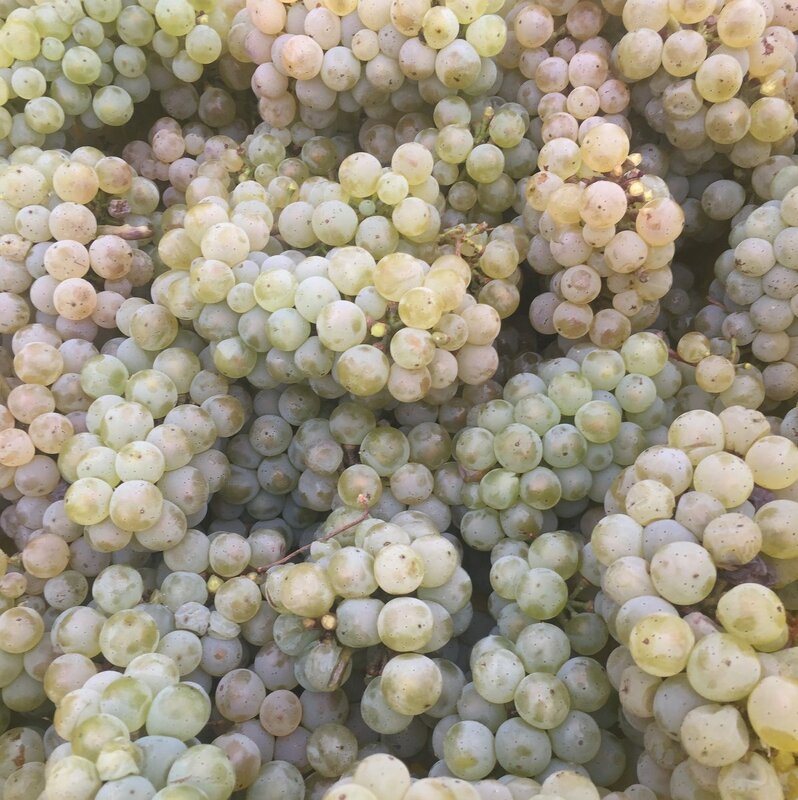 Flavors in our grapes are very citrusy, with lemon-lime flavors, and a light floral quality. Based on observations by our consultant over the last 4-5 years we expect a Brix range of 20-22, with a pH of around 3.0-3.2, and a TA of 0.6 to 0.8. 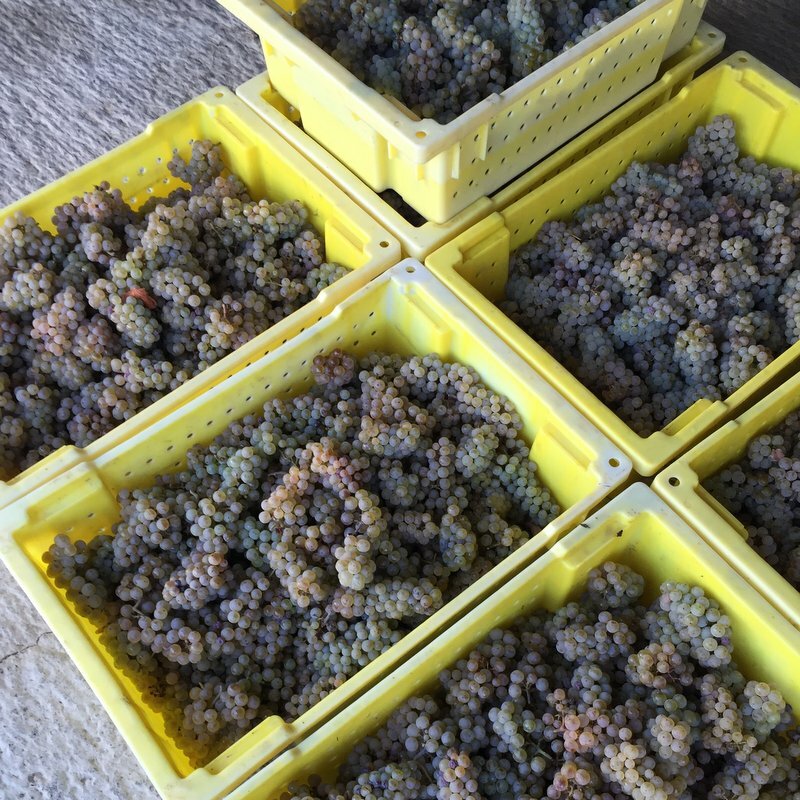 Our grapes our suited for a dry style Riesling and as a sparking wine base (picked early with a Brix or 18-19, TA of 0.8-1.0%). Harvest generally commences the first to third week of October. 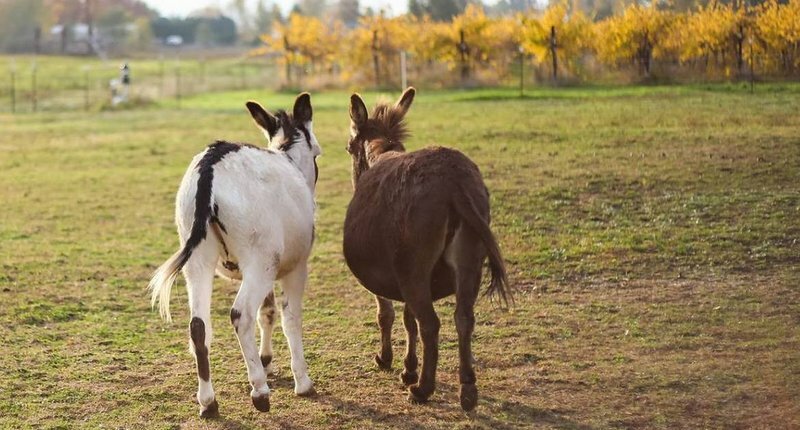 By purchasing our grapes you are supporting our non-profit animal sanctuary, and our commitment to holistic, sustainable growing methods. We are dedicated to farming the vineyard holistically, incorporating biodynamic, and organic methods, and using only organically approved products as needed. Our vineyard has been farmed without pesticides or herbicides. There is a healthy crop of annual and perennial plants growing on the vineyard floor to promote biodiversity and insect control. We use hand shoot thinning to control canopy density and to create a desirable level of dappled shade in the fruiting zone. 100% of all profits go to sustain our non-profit farm animal sanctuary. 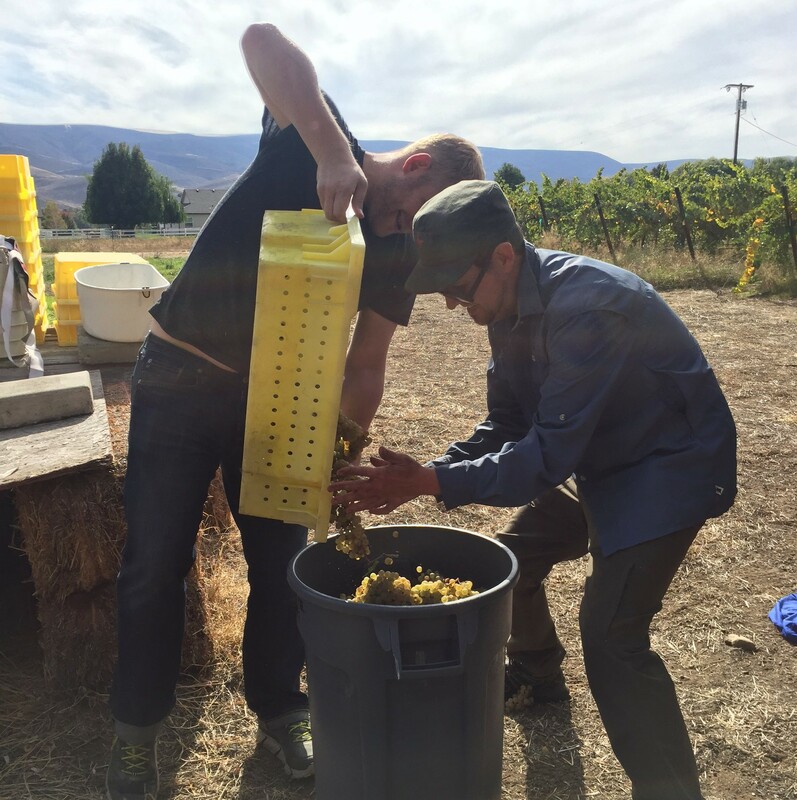 Vineyard updates, pick dates, events and more!